A monitor displays Twitter Inc. signage on the floor of the New York Stock Exchange (NYSE) in New York, U.S., on Monday, Jan. 23, 2017. They’re losing executives, money, advertisers, investor confidence, and respect from developers and creators. But someone still believes its best days ahead. “The whole world is watching Twitter. While we may not be currently meeting everyones growth expectations, there is one thing that continues to grow and outpace our peers: Twitters influence and impact,” CEO Jack Dorsey said Thursday on a call with analysts following another brutal quarterly earnings report. Dorsey might be Twitter’s last True Believer. Being influential is great, but you know what’s really cool? Being profitable. And now that Twitter effectively serves as the center of the political universe thanks to President Donald Trump, one might expect the company was well on its way to figuring out how to turn a profit. Turns out, they’re not even close. If 2016 was a rebuilding year for Dorsey, well, ‘looks like he’s got another one in store. “Everyone wants us to win,” Twitter Chief Marketing Officer Leslie Berland said last month. Yet, winning (read: making money, thereby staying afloat) relies on a company’s growth and trust in its ability to grow furtherneither of which is happening. Dorsey said they want to reach profitability this year, but expectations are rarely met by Twitter. A year ago, Dorsey said he had five priorities for Twitter: refine the product; live video; safety; developers; and creators. They’ve done a lot with the product, according to Dorsey, but they’re nowhere near done. Same goes for safety. Live video’s doing alright, but when it comes to money and influence, Facebook and television still keep future success at bay. Meanwhile, Dorsey dropped developers and creators, for the most part, bringing down morale and confidence. He said creators would be a priority, but Vine, a massive destination for content creators, got axed. He apologized to developers onstage in 2015 and promised to rebuild trust, but instead, cancelled the annual conference and sold off their core resource (Fabric), offering little fanfare and excitement for future growth. “Thats really worrying at not only this point in Twitters history but this point in Dorseys second stint at the company. Hes been there for well over a year now, and yet hes still setting in place completely new strategies,” Jan Dawson, chief analyst at Jackdaw Research, wrote in an email. After a full-year spent focused on the product (with harassment updates, news alerts and live video deals), it seems to be nowhere near done. Why are my mentions always full of Trump supporters and sexism? How come I get alerted about entertainment, not about politics? Why is there still no single destination for live video? And why can’t I personalize what tweets I see during a live video? Harassment is still (and has been for the last year) the company’s number one priority. And while that’s nowhere near fixed, the executive team spent Thursday pitching a revamp of its advertising, with few details. And even that has been talked about for years, with little to no success. 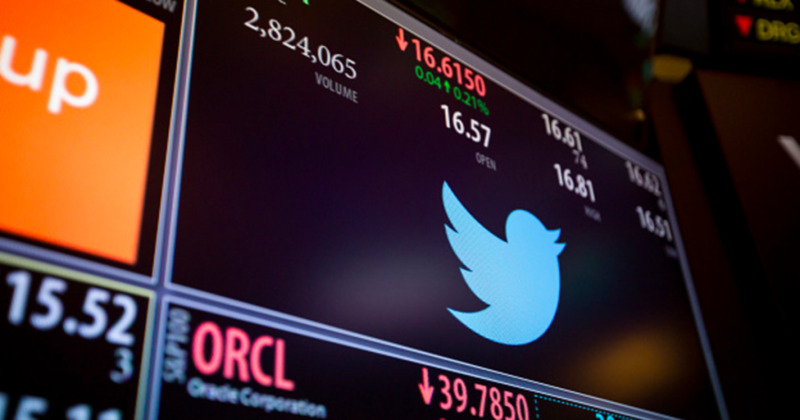 Twitter made $717 million over the last three months. While that may sound impressive to the average Twitter user, it’s chump change for the tech industry. Facebook made $8.8 billion over the same period. Looking at it on a per-user basis for all of 2016, Facebook brought in $14.83 per user while Twitter had $7.93 per user. Twitter isn’t losing more users than it’s gaining, unlike it did a year ago. But it’s clearly losing advertisers and ad dollars, the two things it needs if it ever hopes to become profitable. That’s not breaking news, but it’s the thread that continues to be the most alarming. Twitter is influential, sure, but what’s stunning is its ability to keep losing more money in light of that influence. If Twitter’s main goal is to make money, it’s an uphill battle to fight the so-called digital ad duopoly between Google and Facebook. Meanwhile, Snapchat, soon to go public, is also stealing away dollars. Advertisers we spoke with also said they want better creative products from Twitternot surprising, pretty basic, and clearly not available. While Twitter’s Moments, the curated-feed of tweets and videos, was quantified as one of Dorsey’s big undertakings, absent was a good plan for making money such as the full-screen video ads now popular in Facebook, Instagram and Snapchat. A billboard advertisement for Twitter displays the faces of President Barack Obama and his wife, Michelle Obama, on a wall December 12, 2016 in a subway station in New York City. While Google may not offer the most beautiful ads, it has user targeting going for them. Twitter’s about real-time and breaking newsso says Dorsey and his CFO/COO Anthony Notoyet advertisers still can’t so easily hand over dollars with that in mind. And other companies are sleeping giants for those same dollars that Twitter’s been after. As Dorsey said Thursday, “The whole world is watching,” and competing and not just Donald Trump’s attention.